I found it a little difficult to find simple, stylish, safe baby products that worked with the rest of my home. For some unfathomable reason, most easily available baby stuff seems to be plastic, polyester, lime green or in primary colours. Also, I think there's a lot of scaremongering and playing on a new mother's insecurities to purchase lots and lots of unnecessary and expensive things. Here, a list of minimal and beautiful things I've found, purchased and like. I haven't bought things I felt were unnecessary but everyone's different: you might want a baby monitor, bouncer, nappy bag or whatever, I tried to just get things that seemed unavoidable and then see what I need once the baby arrives. You can't really use breast pumps or bottles until they're around 6 weeks old; and they're not really interested in toys until that age either. I'll do a separate post on the toys, books and clothing I like next week. Affordable, yes. But also the most simple design I could find; and the only one that I found made of untreated wood (beech), something important to me for avoiding offgassing (the fumes that come with new furniture). A natural mattress made of wool; since the baby spends so much time on this I wanted to make sure it was free of chemicals and flame retardants and all those bad things. This one is good as you can flip it over to a different firmness once the child is older. I felt like the baby will spend a lot of time on this, so chose to buy a slightly pricier changing pad. Again, it was the only one I could find that didn't have flame retardants and a plastic cover. I love this French brand, the washed linen fabrics are so soft and the colours are neutral and clean. I bought a soft grey one. I've used Weleda throughout my pregnancy and it's the cleanest product I could find, I love the natural scents and it's really affordable too. Again, this French brand has gorgeous soft linen pillows, quilts and decorative cushions, I bought them in a range of greys. I love Nature Baby, it's an iconic New Zealand brand with a beautiful range of organic products. 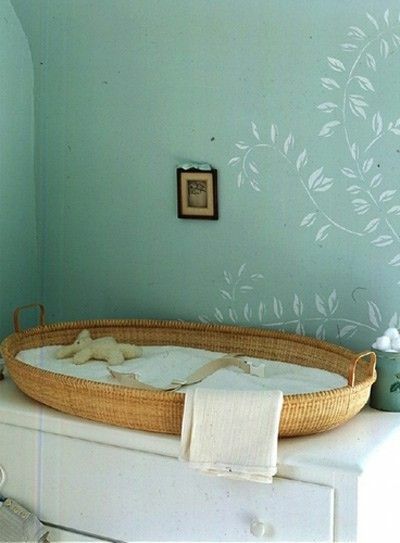 This Moses Basket is simple and lovely with a natural mattress insert. I bought white organic crib sheets, Moses basket sheets and a couple of soft blankets from Nature Baby too. Sleeping bags seem much safer and easier than blankets and sheets; we got a few of these in different weights. I like the simple designs and organic cottons they come in. This was the only carrier I could find that was made of a fabric designed for a hotter climate. It's simple and looks kind of like a backpack, comes in all black, works in multiple positions (front and out facing as well as on the back) so it can be used for almost three years; has been approved by the Hip Dysplasia Foundation and will fit both me and my husband. I think strollers are very personal choices based on budget, location and situation. I was after something that was lightweight and small as Hong Kong is hilly, we don't have a car and there are often stairs and escalators to deal with; plus we travel a lot. This French brand is great, the base converts from newborn to six months and can be used until around two years of age; looks stylish and comes in all black; works with most carseats; folds up to carry on size and is super light. As with a stroller, a carseat seems like a very personal decision. I wanted one that would work with the stroller we'd chosen, came in all black and has a high safety rating; as well as being suitable for a newborn right through to 18 months. This ticked all the boxes. I got this soft, stretchy black baby wrap by Solly. You could go crazy here, I tried to keep it minimal and just bought multipacks of newborn size white socks, mittens, onesies, hats, bibs and muslin swaddles from John Lewis. I'll do another post on the childrenswear brands I've found and loved. A Pinterest board of nice baby related finds. A to do list for your third trimester. The prettiest maternity and nursing bra ever. Little Spree is a nice source of high street kids clothing finds.